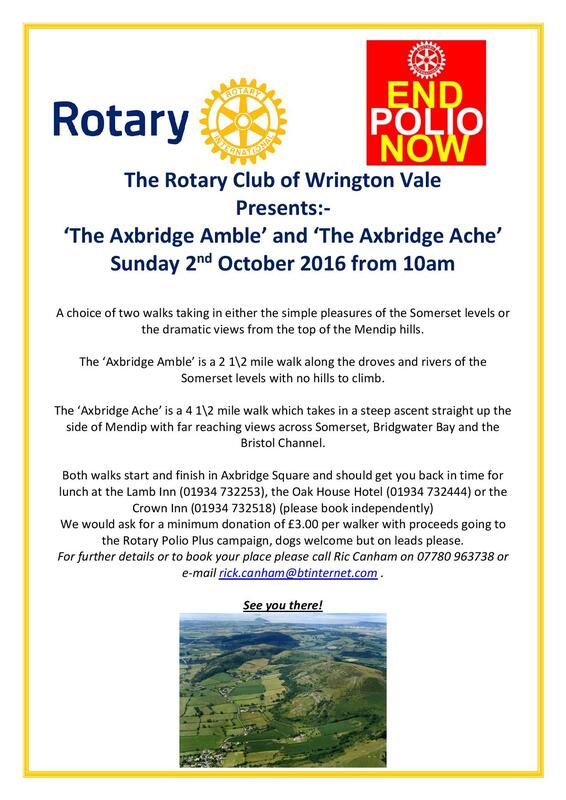 The Rotary Club of Wrington Vale invites you to enjoy the simple pleasures of the Somerset Levels with them. Starting at Axbridge Square these walks end with lunch afterwards. A donation of £3 per walker will help to raise funds for Rotary Polio Plus campaign.